Before I talk Valentines, this is the last time I ask for your votes in the Circle of Moms contest. Thank heavens says you - and me! Too bad this vegan mama of three didn't pull up, but I would have needed some 'divine interellenvention' to do so. For those of you that were sharing and retweeting and trying to bring in more votes, you know I'm appreciative, and just sorry I couldn't do more. Valentine's isn't just a day for romantic love. And for me, it's the personal days between couples that are most significant - anniversaries, birthdays, and for mothers - mother's day. Those are the days to show your darling that they are treasured. For me, Valentine's is more playful. It's about showing love to anyone we want. And I wanted to show our girls how much I love them with this. It's a Valentine's Snack Plate. This would be so much fun for a children's party. Healthy finger-food snacking that is as delicious as it is pretty - and just so easy! Popcorn surrounding Cocoa Cookie Dough Balls, with goji berries in the centre. I wanted something red or pink for the middle, and because I had no fresh berries (and organic strawberries and raspberries are either hard to find or prohibitively expensive), I opted for goji berries. But, you could use cranberries, or dried strawberries, or fresh grapes, or even clementines. These Cocoa Cookie Dough Balls are quickly catching on with my family and friends. They take minutes to make, and have no added sweeteners - AND they can be made for school lunches with a nut-free option. 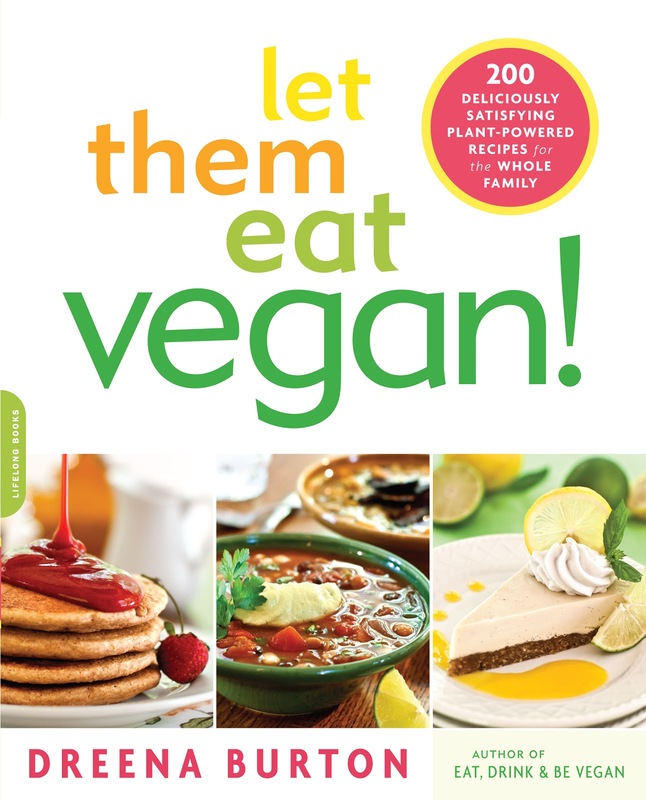 They can be found in my new book, Let Them Eat Vegan. If you are planning to purchase LTEV, please do so on March 13th - details to follow. For another Valentine's dessert, try my recipe for "Three's Company Pie". What are YOU doing or making for Valentine's? You had me at cookie dogh balls, yum yum! Love this snack plate idea!!! I love snack plates & the hear shape is so cute! 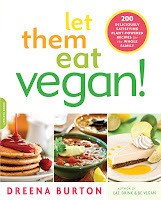 I am definitely buying a copy of "Let them eat vegan", just tell me when and where. I don't know the details about March 13th and feel left out since I pre-ordered your new cookbook back in November; but on the other hand I just received it today, YAY! omg!! whaaat? I haven't seen it yet myself! You are the first (that I know of). Tell me, quick, what do you think??!! Goji berries are like $20 a pound here. Strawberries or Raspberries (even organic) are way cheaper than that. And dried strawberries are horrifically expensive here (which bums me out because I love them so). I wonder if prices are different because I'm in California? I am jealous if you're getting goji berries for a cheaper price than strawberries!